What is an Appraisal Contingency in NYC? Buying property in the real estate market is a complicated process. Admittedly, the process has become so complex because of lawyers (like us), but all of the various provisions and terms in the average real estate contract serve a purpose. How does it work? Why do real estate contracts often include an appraisal contingency clause? Is an appraisal contingency distinct from a mortgage contingency or inspection contingency? How does an appraisal waiver affect a contingency agreement? These are all questions that we hope to answer so that we can help shed light on this dense, but understandable area of real estate law. Real estate purchase contacts can include many different types of contingency clauses. As a buyer, it is important to be able to distinguish between them so that you understand your rights to cancel the contract in the event that the need to do so arises. The appraisal contingency says the house must be appraised at the sale price or higher, which will help you secure a mortgage. This type of clause is the subject of this article. The mortgage contingency states that the contract depends on the bank granting a loan. In other words, a mortgage contingency allows a buyer to cancel a real estate purchase contract if the buyer is unable to obtain financing for the purchase. Mortgage contingencies are also known as a loan contingencies or finance contingencies. Occasionally, an appraisal contingency clause will be contained within the mortgage contingency clause. The inspection contingency requires the home to pass an inspection. An inspection contingency allows the buyer to cancel a real estate purchase contract based on the findings in the home inspection. Generally, if certain features of the property are in need of repair or replacement, the buyer can use the inspection contingency clause to demand the seller make any needed repairs before closing or to renegotiate the purchase price. An appraisal contingency clause in a real estate contract allows the buyer to cancel the contract if the property appraisal is not high enough. Generally, when a property buyer buys a piece of real estate, he or she is assuming that the value of the property is accurately represented by the sale price. For example, assume that a homebuyer sees a house on the real estate market for $300,000.00. The homebuyer will assume that the home is actually worth $300,000.00, but the buyer should get the property appraised to make sure. In most real estate sale contracts, a mortgage broker will order an appraisal once the sale contract is signed and fully executed. An independent appraiser then estimates the value of the property and sends than appraisal report to the lender. If the independent appraisal does not match up with the home sale price, then the appraisal contingency clause gives the buyer a way to escape from the contract. How Does an Appraisal Contingency Clause Work in New York? Typically, the buyer’s bank will hire an independent licensed appraiser to determine the fair market value of the property. The appraiser will base the property’s value on its structural and apparent condition, location, and the sales prices of similar properties in the area (these similar property sales are known as comps). Once the bank receives the home appraisal, it will extend a loan or mortgage for the property based on the value of an appraisal. For example, assume a homebuyer wants to buy a home for $300,000.00 with a $30,000.00 down payment, but the appraisal determines that the home is only worth $250,000.00. In that example, the bank will base its mortgage and lending rates off of the $250,000.00 appraised value, which leaves the home purchaser $20,000.00 short in value. If the home seller refuses to lower the price or if the property cannot be re-appraised for a higher value, the appraisal contingency clause allows the homebuyer to walk away from the contract and recover the deposit. Otherwise, the buyer always has the option to come out of pocket for the additional $20,000.00. 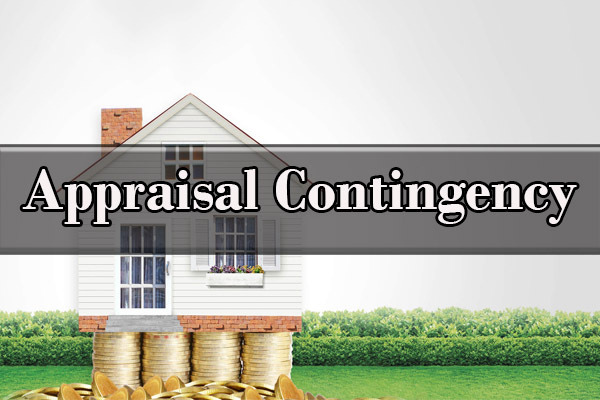 In some cases, an appraisal contingency may allow the buyer to waive the contingency clause and proceed with the purchase even if the appraisal is below the specified amount. In most cases, the buyer must wait several days after the buyer receives notice of the appraisal value. This delay gives the buyer and the seller time to continue to negotiate on a fair price. The buyer could also attempt to find additional financing, such as a junior mortgage or another line of credit. The contingency also generally specifies a release date. The buyer must notify the seller of any issues with the appraisal by that release date. Otherwise, the contingency will be deemed satisfied, and the buyer will not be able to back out of the transaction. Keep in mind that appraisal contingency clauses are often included into a contracts mortgage contingency clause. If the property appraisal value does not match the full purchase price, then the buyer will be unable to obtain the loan amount required to satisfy the mortgage contingency clause. This also allows the buyer to cancel the contract. If you have any questions about an appraisal contingency or its effects, please reach out to us with your questions. While the concept of an appraisal contingency is not complex, the actual application of the contract clause can be a very technical matter. Why Is an Appraisal Contingency Clause Important to You? Simply put, an appraisal contingency clause protects the buyer. Ensuring an appraisal confirms the value of the property helps the buyer get his or her full money’s worth and prevents the buyer from being cheated. It is also important to secure financing for the property purchase. Lenders usually base the amount of their mortgage loan on a percentage of the property’s appraised value, not the sale value. In other words, if the appraised value is lower than the sale value, the buyer’s mortgage terms will be less favorable. What if an Appraisal Is Lower than the Purchase Price? The purpose of an appraisal contingency is to protect the buyer. An appraisal contingency clause ensures that a property is worth what the seller claims it is. If the independent appraisal reveals a lower value than the sale price, the buyer has several options. First, the buyer can cancel the contract and walk away from the deal. In this case, the buyer can usually seek a full refund of the earnest money down payment on the home. Second, the buyer can request a second appraisal opinion. This option makes sense if you believe that the first appraisal undervalued the property. When you re-appraise the home, make sure to point out to the appraiser where you believe the first appraisal was incorrect. Third, the buyer can ask the seller to re-negotiate the sale price of the property to more accurately reflect the appraised value. Finally, the buyer can waive the appraisal contingency and proceed with the sale. When Should I Waive the Appraisal Contingency? The appraisal contingency clause is designed to protect buyers, and so buyers will want to avoid waiving the appraisal contingency. Remember, if you waive the appraisal contingency you are agreeing to pay the full amount of the contracted price, even if the appraisal comes in low. That said, in some circumstances, it may be beneficial to the buyer to waive the appraisal contingency. Before waiving an appraisal contingency, always consult both your real estate lawyer and broker. Waiving your rights in this manner is very dangerous and can result in unintended consequences. Waiving the appraisal contingency in the purchase agreement can strengthen your offer for the property because it tells the seller that you will – no matter the appraised value – purchase the house. This negotiating tactic is useful in a hot real estate market where there is a lot of competition for the property you are trying to purchase. If you are considering waiving the appraisal contingency for a specific property, you should attempt to verify the value of the property on your own by researching comparable sales in the same area. This is still a somewhat risky move and will not fully protect your rights in the event that the seller has over-valued the property. The following is a brief example of an appraisal contingency clause. 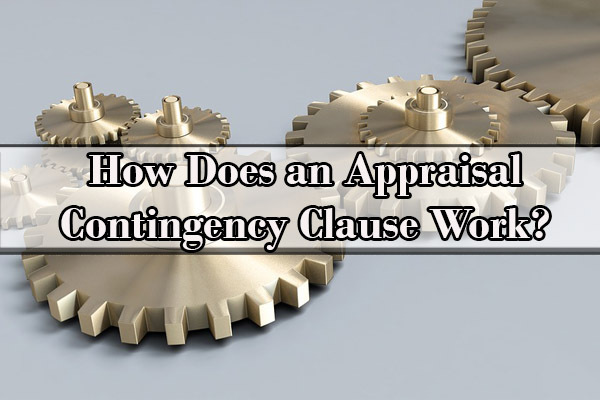 Not all appraisal contingency clauses look alike, but this clause is similar to many commonly used appraisal contingency clauses. If you see language like this in your real estate contract, you are likely dealing with an appraisal contingency clause. 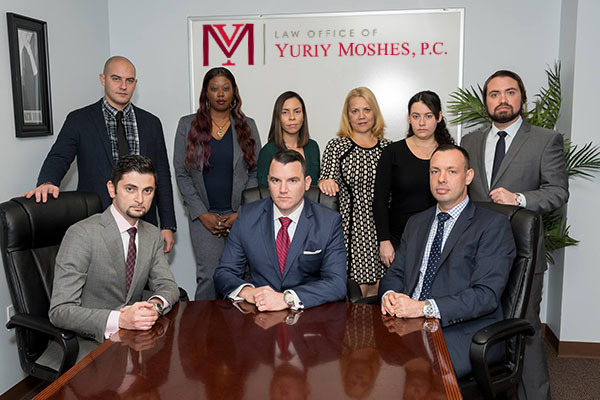 The Law Office of Yuriy Moshes provides real estate services and legal support for any type of real estate purchase deals including services for residential home buyers within New York City. Our law firm operates in all five New York City boroughs (Brooklyn, Manhattan, Queens, Staten Island and Bronx), northern New Jersey, Long Island, and upstate New York. We provide white glove customer service to all of our real estate and home buyer clients in New York and New Jersey. Call us for a free consultation regarding your real estate purchase plans.